Regular pruning of clematis encourages strong growth and flowering and keeps the growth in check. If left unpruned, clematis can turn into a mass of tangled stems with a bare base and flowers well above eye level. Clematis in pruning group three flower in late summer on growth made in that season and should be pruned in late winter or early spring. This method is suitable for herbaceous clematis. Pruning a late-flowering clematis. RHS/Advisory. Clematis in group three flower in late summer on growth made in that season. They make new growth from the base each year, so can be cut back hard on a regular basis. 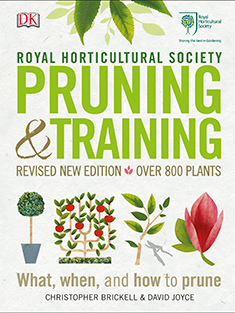 Prune in late winter or early spring when buds show signs of growth – typically in February. If young clematis plants are left unpruned they often produce very long single stems with the flowers produced only at the very top. If left unpruned, this group will continue growing from where the growth ended the previous season, becoming top heavy, flowering well above eye level, and with a bare base. If desired, they can be left unpruned to scramble over pergolas where space is not limited. Prune herbaceous clematis such as C. heracleifolia, C. integrifolia and C. recta to near ground level in early spring or late autumn.